Geometric prints are fun alternative to solids. 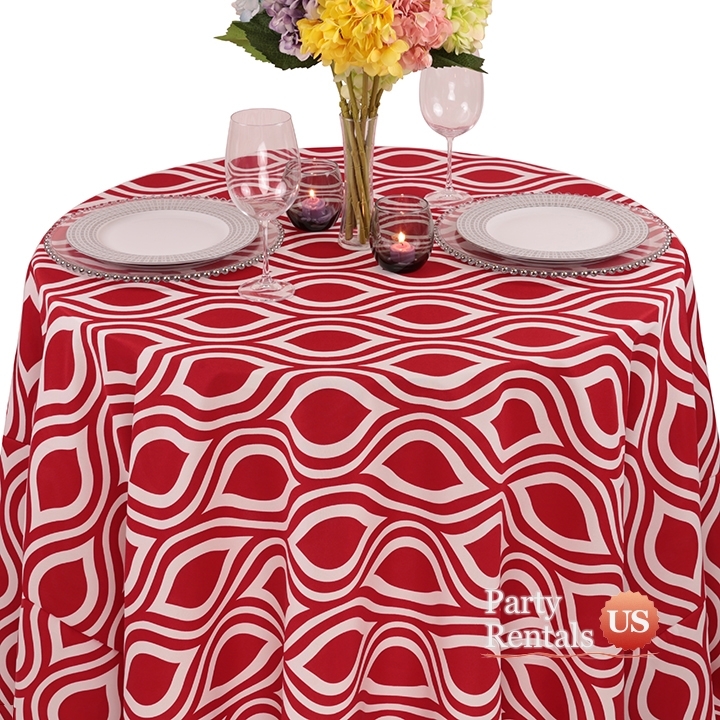 This tablecloth has a party vibe that will throw your celebration into overdrive. Select red or blue in the size of your choice. Thanks to the spun poly construction, wrinkles will be kept to a minimum, and guests will enjoy the feel of cotton.